I debate the holocaust "just for fun" on various forums, social media websites, etc. where the vast majority of the users believe in the Holocaust. I mean let's be honest, for a "Holocaust debate" forum, there isn't a whole lot of actual "debate" going on here, as the vast majority of active users do not believe the standard Holocaust narrative compared to other websites... and the ones that do quickly get their arguments totally refuted and leave. There is no question that if you went on a different website and posted a "Nazis didn't gas jews in fake showers" thread [assuming you don't get banned] you will get loads of responses with the people overwhelmingly disagreeing with you; on this forum, you will not. This forum is great of course, it is a massive repository of arguments and sources refuting the standard Holocaust narrative. 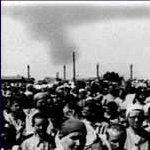 In fact, in virtually every debate I have on the holocaust, I refer back to various threads on this website for points; CODOH remains an invaluable treasure-trove of information, it is usually the first place I search when confronted with obscure documents/testimonies I haven't seen before. I suspect a lot of you who debate the holocaust elsewhere do the same thing. My sock account is currently banned from facebook, where I post in half a dozen different debate groups. When I make a topics on the Holocaust, usually 90-95% of responses are in the "Holocaust is real" camp, but with a small minority of people (usually between 1 and 5) expressing agreement. A lot of people who do post in support of the standard narrative simply can not be swayed by logic and reasoning, they will never change their minds. Their argument is often something like: "The only reason you would believe hitler didn't gas millions of jews in fake showers is because you personally want to kill jews" - which is basically analagous to "Holocaust denial must be illegal, or else it will happen again!" Alternatively, they don't have an argument at all, they just come in to say "wow, your post makes me so angry, you're sick!" etc. This isn't in any way astonishing, it has long been established that some people can't be convinced with arguments based on logic & reasoning. I have written about this before on this in a post entitled Is the Holocaust a religious belief? "Holocaust denial is a fringe conspiracy theory not taken seriously by >99% of qualified experts"
Probably, most of the people who will see the threads do not reply, so the people making these faith-based arguments only serve as a tool to use, someone to respond to and refute in a public setting to show the audience (that does actually not engage in the debate) which position is most logically sound. This would specifically apply if they claim that the professors, chemists, engineers, historians that deny the holocaust are not "experts" in their own right, but the ones with comparable qualifications are. I also mention the laws against "Holocaust denial" in much of Europe, and the persecution of revisionists. For a historian (with a family, mortgage, bills to pay, etc) to see someone else get their lives absolutely ruined for simply stating that "nazis didn't gas jews" that's enough for them to keep their mouth shut a lot of the time. Another related claim (used in conjunction with the above fallacious arguments) is that all holocaust deniers are "Neo-Nazis" (whatever that means) -- implying that they are all just bias-motivated ideologues. In response to this, I point out the diversity of revisionists. fewer than 5% of Auschwitz survivor testimonies mention gas chambers at all // Re: Ratio of obvious liars to claimed "eyewitnesses"? The argument is irrelevant and fallacious; Arthur Schopenhauer: "All truth passes through three stages. First, it is ridiculed. Second, it is violently opposed. Third, it is accepted as being self-evident." ‘The systematic study of mass psychology revealed to students the potentialities of invisible government of society by manipulation of the motives which actuate man in the group.... So the question naturally arose: If we understand the mechanism and motives of the group mind is it not possible to control and regiment the masses according to our will without their knowing it? They often claim that our arguments don't stand any scrutiny by any experts. But what they mean is experts who support their own stance. They then claim we are debating elements of the holocaust that wouldn't make much difference to the overall totals etc if proven true. This is nonsense. 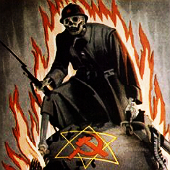 The truth is they don't want to debate elements of the holocaust myth because it would bring the whole crashing down. They then, and I've had this one recently, claim that any experts we show disagreeing with the claims and showing scientific support for our side are not credible and thus we are all loons. Much of this you have covered in your post but I wanted to show that I have seen much of this myself, directly against me. I'm never sure whether the blind believers have ever questioned the holocaust, or indeed question anything they see in life, or are of the persuasion like many, that the poor jews have suffered so much so they just don't query anything in life. The fun part starts when ask a firmly, strident believer, for counter evidence to my stated position on no gas chambers, no mass graves, not enough fuel to have burned so many corpses, not enough time either and so on. They then start the personal attacks because either they don't have their knowledge base high enough and will look stupid or feel that dismissal is the best way of dealing with people like me. It's the Lipstadt Position. 1. The vast majority of "scientists" or "experts" agree that the holocaust happened. You responded by stating the fallacies of this argument: argumentum ad populum and argumentum ad verecundiam are logical fallacies. Correct. You may add: In most countries either laws and social pressures prevent anyone from voicing the opposite opinion without fear. Thus, we cannot really know how many so called experts really believe in the holocaust. Thus, we cannot know what the majority of experts really think. 2. The vast majority of all "scientific papers" come to the conclusion that the holocaust happened. Now you can legitimately question that these studies are "scientific" because "freedom of hypothesis" and the unpredetermined outcome of a study are necessary for scientific inquiry. Since these freedoms de facto and de jure do not exist in most countries, studies published under these circumstances are not scientific. Since the result of any paper on the holocaust is pretty much predetermined before the work has even begun, these papers are non-scientific. You can end by stating that the only true scientific papers are those, which clearly demonstrate that the authors have not bowed to the legal and social pressures of our times. These are the studies published by the holocaust revisionists. Thus, the majority of the truly scientific papers on the holocaust question that it happened. If the holocaust believers want to reverse this fact they must first and foremost stop the severe punishment of holocaust doubt and/or holocaust unbelief in our societies. Agreed that Lamprecht nailed it and you added important points. On your point two, you are of course correct that this is absurd, when only certain conclusions are allowed, while others are even punished. However as far as I can see it, very few, if any, scientific papers CONCLUDE that the Holocaust happened. They either don't really investigate it or, which I think is the most common feature: The authors and by that the scientific papers simply ASSUME that the Holocaust happened and that its key claims are simply true. Also ask yourself how many scientific papers dealing with Holocaust history even mention the psychological warfare and propagandistic nature of the initial sources for core Holocaust claims. Any source not dealing with the issue can not be taken seriously. And I think they avoid this for a reason. well let's just say that as in the case of fred leuchter, before his involvment and subsequent report he was well regarded as an accomplished technician but then after his report he became a monster ( "herr leuchter" ) and thus all his expertise thrown out the window. i've lost the count of how many times ive refuted the accusations that he's not an engineer and so on and so forth; the main problem discussing the holocaust is that most of the people ( i was in the very same position years ago ) i've been talking with simply do not have a clue about how the cremation process works or the mechanics behind the functioning of an execution gas chamber, let alone how hcn works or how the most famous of the camps was structured. it took me literally two months to read and understand how the crematoria ovens worked and many more months to read at least the two main reports on the subject of execution gas chambers, chemistry, history and usage of hcn. giovanni53 wrote: well let's just say that as in the case of fred leuchter, before his involvment and subsequent report he was well regarded as an accomplished technician but then after his report he became a monster ( "herr leuchter" ) and thus all his expertise thrown out the window. "Name me a single respectable and qualified scientist who doesn't believe in the holocaust! There is none! Thus, your opinion must be wrong!" So you say, for example: Professor Arthur Butz. The response will be: He is not respectable, because he is an antisemite. Then you ask, why he is supposedly an antisemite. The answer will be: Because he does not believe in the holocaust. If you say, for example: Dr. Germar Rudolf. The response will be: He is not respectable, because he is a criminal. Why is he a criminal? Because he was convicted. Why was he convicted? Because he does not believe in the holocaust. This is prefect circular reasoning. Anyone who doesn't believe in the holocaust will automatically lose either his qualification or respectability. The only way to combat this is by pointing out how unreasonable this is. First of all, the conclusion "Thus, your opinion must be wrong" does not follow from the premise, no respectable and qualified scientist doesn't believe in the holocaust. The appeal to authority is a non sequitur. Secondly, the premise is wrong. It is defended using the no true scotsman fallacy. You can only point out how unreasonable this argument is. If the believer insists that this circular reasoning is correct, then there is no point in arguing. Don't waste your time with fools. As usual, the "holocaust Industry" relies upon people not doing any fact checking. This issue has been slapped own before, the quote below is from a previous post. A common point against revisionists is that we don't possess many qualified academics, but rather laypersons unqualified for the role of rewriting and revising history. Highly trained engineer and former President of the Austrian Chamber of Engineers, Walter Luftl, stated that the areas depicted as 'gas chambers' were not structurally or technically capable of gassing people as has been alleged. Wolfgang Froehlich, an Austrian engineer and an expert witness whose field of expertise is process engineering and gas applications, simply shredded the gas chambers lies in court. Odd that the 'holocaust' Industry has to rely on people like teacher of Judaism, Deborah Lipstadt; or Robert Jan Van Pelt, who is a Professor of "Cultural History". They are quick to quote the thoroughly discredited Jean Claude Pressac, who was a French pharmacist. Then they say we have no 'historians', yet they praise the absurd work of Raoul Hilberg who does not have a degree in hstory. No human remains of millions to be seen in allegedly known locations, no 'holocaust'. the pavlovian reaction that manifest itself anytime the 6 million dogma is questioned is the closest thing to brainwashing one can experience; there's no escape from it, it's been carefully crafted and injected into our subconcious through an endless streams of propaganda since the end of the war. i believe people are just scared big time of changing ideas, the average believer i found on the internet have never read hilberg, arad, not even shirer, literally they don't know what they're talking about and some myth are hard to die, such as mengele, angel of death..when i tell them there was a angel of life they start calling me names! "since he doesn't believe in the holocaust he's an antisemite, and if he's an antisemite it means he must be a racist"
"Germar Rudolf was denied his doctorate and forced out of the Max Plankt Institute because of his publication of a scientific forensic report which demolishes the gassings claims, ..."
I know, but I chose to call him Dr. Rudolf, because he has deserved this title. It is abominable to Deny someone a doctorate because of his private historical opinions. Hannover, I really like your concise summary of the qualifications of the leading figures on both sides of the debate. Pia Kahn wrote: You can only point out how unreasonable this argument is. If the believer insists that this circular reasoning is correct, then there is no point in arguing. Don't waste your time with fools. Yes, of course. My goal is not to convince everyone, because that would be an impossible goal. The idea is to show that the "Holocaust denial" arguments aren't what they are stereotyped as: mainly, denial of established truth, tantamount to claiming the earth is flat or that the moon is made of cheese. When someone brings up the Wannsee protocols or the Posen speech, it is easy enough to show that they say nothing about extermination and actually support the revisionist position. Like I said in the OP, most people who see the debate probably aren't going to even engage in it. The most vocal people speak from emotion, but every response they give is an opportunity to reveal the ridiculous nature of the holocaust story (and the fallacious nature of their arguments) for whoever happens to come across the debate. And on facebook, the more popular a thread is, the more responses, the more likely it is to show up on other people's feed. So when someone posts "How could you deny the holocaust? Haven't you seen the camps and the pictures of bodies? How can you deny that Auschwitz existed? You must be full of hate, you're not even worth debating -- I bet you deny WW2 happened as well!" These pathetic responses only increase the visibility of the thread, and also give an opportunity to further demolish the standard story for curious onlookers... Plus, it reveals the emotional nature and inability of people to discuss an event that happened before their parents were even born. Looking back at the debate, there was a big obsession with "peer review" and the assumption that evidence can simply be dismissed if it is not peer reviewed. Using the search function, I saw two related threads when searching "peer review"
The interposition of editors and reviewers between authors and readers may enable the intermediators to act as gatekeepers. Some sociologists of science argue that peer review makes the ability to publish susceptible to control by elites and to personal jealousy. The peer review process may suppress dissent against "mainstream" theories and may be biased against novelty. Reviewers tend to be especially critical of conclusions that contradict their own views, and lenient towards those that match them. At the same time, established scientists are more likely than others to be sought out as referees, particularly by high-prestige journals/publishers. There are also signs of gender bias, favouring men as authors. As a result, ideas that harmonize with the established experts' are more likely to see print and to appear in premier journals than are iconoclastic or revolutionary ones. This accords with Thomas Kuhn's well-known observations regarding scientific revolutions. A theoretical model has been established whose simulations imply that peer review and over-competitive research funding foster mainstream opinion to monopoly. Further, I feel as though Revisionists DO have their work peer reviewed... albeit by other revisionists. The Journal for Historical Review is said to be "non-peer reviewed" on Wikpedia. I also found a 1999 interview with Germar Rudolf by Bradley Smith where he was asked about a book "The Gas Chambers of Sherlock Holmes" and responded "After peer review, I would be willing to publish it in the publishing house I am currently setting up with a good friend in the US." On the CODOH authors web page it says they take care of "peer review" if you have a book or publication prepared. In a 1995 article by Bradley Smith he explains that Faurisson was denied the right of peer review. I guess it all boils down to certain individuals wanting universities to do their thinking for them, rather than thinking for themselves. Subconsciously, they see the hatred against and ridicule of "Holocaust Deniers" happening and instinctively wouldn't want to be subjected to it. After all, this stuff happened decades ago, so what good does it do to be correct about an event that happened many years ago when it changes nothing, except causes intense social ostracism? What we really need to do is find some objective party, like the Chinese for example, who never grew up learning about the Holocaust or jews or anything of that nature. Find a group of Chinese scholars, let the revisionists and believers debate it out, and then have this group determine whose side is the most reasonable. It is simply impossible in the west to find people who have not been pumped with Holocaust propaganda and "Hitler is the most evil man that ever lived" claim over and over again in the public schools and mass media. In comparison, the Chinese have little history with Jews compared to the west, and also have their own genocides that took place with death tolls greatly exceeding the 6 million number. The reality is that one side wants to debate and the other wants to shut down the debate, and has done so successfully in a number of countries. but the topic in itself is somewhat partly obstructed and obscured by the mainstream holocaust industry, "they" cannot retreat an inch about anything, let's say the 6 million number for instance, i mean the damn plaque was changed from 4 million to 1.2 million, it hadn't been changed overnight by a group of evil neo nazi, they changed it! unfortunately the other isn't any better, there we have the lipstadts, adl, scholars etc etc and they won't give up any soon nor retreat form any of the lies they've been spreading since ever; for instance the collaboration of jews in the deportation of other jews, perhaps form me it's a very mild matter but they're scared to death to even utter anything about it! they do not want any open dialogue on the holocaust! the only option left is "the people"; i partially disagree with @Pia when she says don't waste your time with fools, i mean yes there's plenty of them but there's also a lot of people who simply doesn't know and you can reach to some of them, at least that's what i like to do, and little by little trying to explain what happened at nuremberg trials, how auschwitz worked ( that's the more "famous" and it's where most of the most effective propaganda is concentrated ), trying to explain about the disinfectation process then the product utilized for the aforementioned, how this particular substance work and the condition under which it will be the most effective...and so on..."bit bit byte by byte word for word"
i came to conclude that the conspiracy theory here is the existence of the gas chambers, it works exactly like a proper tin foil hat conspiracy! most by people by now knows for instance that 9/11 most probably was indeed an inside job, that perhaps someone profited so much from the event of that day, the same someone that keeps feeding us with this whole load of crap daily! the "people" know the system is rotten, who's in charge of all this is all the more evident every day..
Lamprecht wrote: I debate the holocaust "just for fun" on various forums, social media websites, etc. where the vast majority of the users believe in the Holocaust. I do the same thing, but I've been banned from every forum not dominated by hasbara of the Nick Terry/Meulekampf (sp? )/Romanov variety, e.g. Truthdig, Truthout, Common Dreams. The only forums I've found where holocaust denial is not banned are Unz.com and to some extent quora.com. So, I'm wondering, what are the various forums, social media websites, etc., where you're able to post? “I reject his views as despicable,” Dr. Lander wrote to Broad scientists. flimflam wrote: So, I'm wondering, what are the various forums, social media websites, etc., where you're able to post? Most recently, I had a fake account on facebook and I would use their debate groups. At least half of debate groups will kick you out, but some don't. Holocaust denying is not actually against facebook rules, although many people are pushing to make that happen, but if you keep it up you may eventually get banned for "hate speech" somehow. The benefit of facebook is that it is extremely active; normally I would make a "bait" post in the debate group, something short that would get loads of responses. When you respond to someone's post, you are more likely to see their future posts in your feed. Then, on a new post, I will post some article about the holocaust and my commentary on it. I don't give many arguments at all in the opening post, it's more just feigned disbelief "Do people seriously still believe the holocaust hoax?" I do see the parallel though. The "Boasian school" race deniers claim that it's the race believers who are ideologically motivated (by hate or a sense of superiority) and thus can not be trusted... while it is those very individuals who make that allegation that are the truly ideology-motivated individuals, who seem to think that "racism" can magically end if you just tell people that race isn't biologically real. So yes, it's similar, but actually it is easier to prove that some "reliable/respected sources" do actually believe in race, and [for example] the IQ differences.